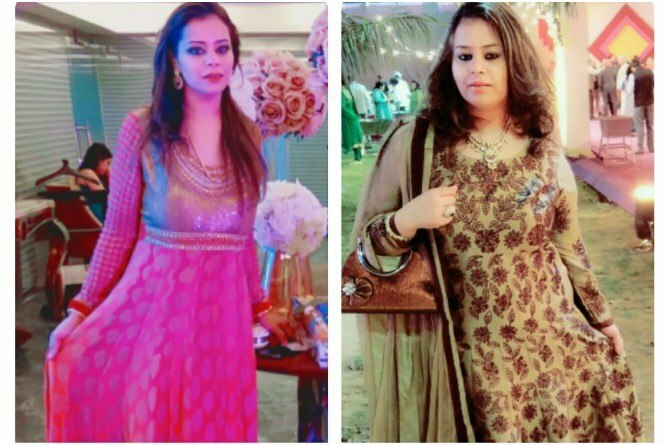 theindusparent reader and nutritionist Mehak Bansal shares her incredible weight loss journey and how she lost 40 kilos in 11 months without medicine. Drastic weight loss can be a challenge especially if you want to lose weight without medicine and supplements. But, as it's said where there's a will, there's a way. 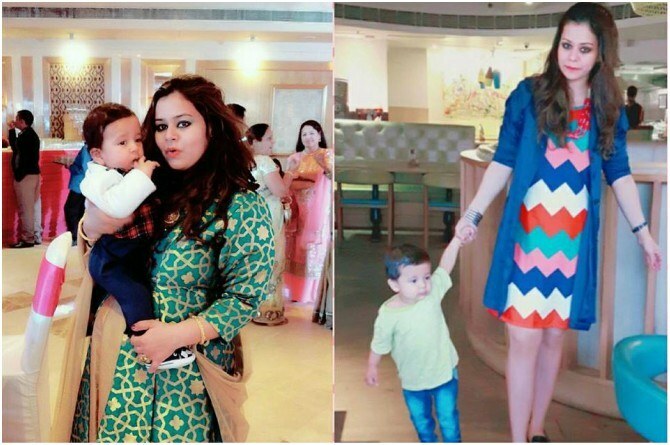 Mumbai-based nutritionist Mehak Bansal Chawla's story proves just right that. 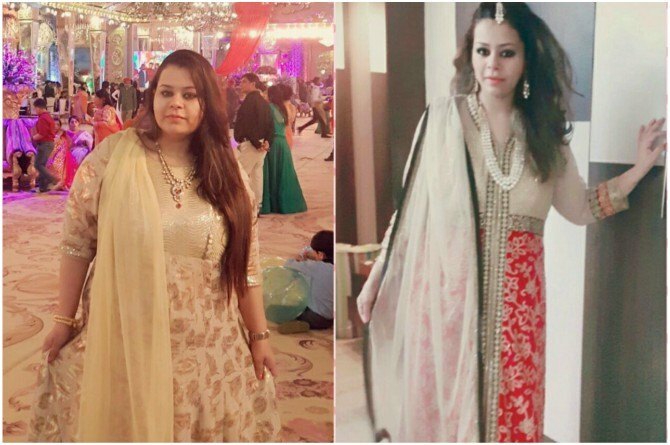 Being overweight by about 40 kilos, Mehak had a tough time getting rid of all that flab as she wanted to lose weight without medicine. However, that was then. "I was always a cute, overweight child..."
A cute overweight child, youngest of all and pampered by the entire family, that’s how my childhood was. Since I was loved by all the relatives tremendously; the love in form of food also was enormous. The food that came with the numerous calories, but tasted oh-so-good. I was fed fried food with ketchup and various chutneys, a lot of sugary food. And not to miss, the chocolates, wafers, and pastries that were so difficult to resist when being fed. This continued until I was a teenager and my metabolism got affected. One fine day, my mother lost it. She said, "I understand that you love eating but you need to respect your body and not exploit it like this." That was the turning point for me. She enrolled me in various sports and even made me exercise at home. Soon, there was a transformation and I became what I could have not even imagined. All thanks to my mother. "And then I got married..."
After a few years, I got married and entered a new phase of my life. Until the honeymoon, things were still under control and I managed to keep a check on my calorie intake. However, after that, we had regular invitations from relatives and friends for lunch or dinner or some sort of family get together. And, I started putting on a lot of weight yet again and it just kept increasing after that. Being a new member of the family, I couldn't throw any tantrums and put forward my food choices at that time. To top it all, I had some skin allergy due to which I had to take steroids which led to further weight gain. One fine day, I conceived and I weighed 20 kilos more than what I was at my wedding. As one can imagine, the weight was on the rise and I touched 107kilos at the time of my delivery and that too a C-sec delivery, which happened on 7th March 2016. "I created my own diet..."
Though I entered the best part of my life, motherhood, I couldn’t enjoy it as I should have due to my body weight. With each passing day, it was becoming difficult for me to move around, sit for long and a lot that comes along with the baby. It hit me hard. Yet again, I decided to get the extra pounds off me and have a happy face in front of my baby rather than a sulky one. Walking helped me and can be beneficial during pregnancy unless you've been advised against it by your doctor. I also took walks with my little one in the stroller. I am proud to say that I did not miss any precious moments with my child be it crawling or jumping with him whenever he wanted to. Now I want to ensure that my child grows with a fit and an active mother who loves to play with him with a happy face. 10 amazing methods to ease labour pain! My son is a picky eater, but I am not worried!